"Boulder and Terrain Maker" allows you to quickly build a larger landscape! - Click the blue button prompting the download. - Open your world and go to the spawn chunks. - Open the file, and import it into the spawn chunks of your world. - Click the button to get the item. -Change material type on the back of the machine using the left command block. -Change the size on the back of the machine using the right command block. -Place down the item you received. 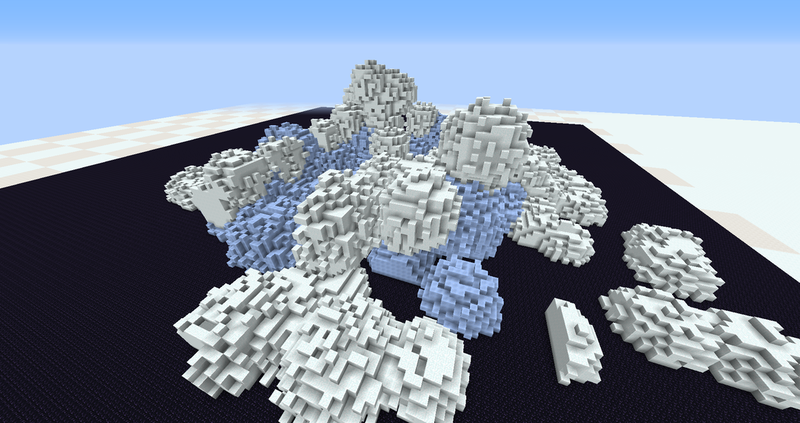 The terrain will generate within 32 blocks horizontally of the armor stand.